This statistic shows the population of the Netherlands in 2018, by gender. 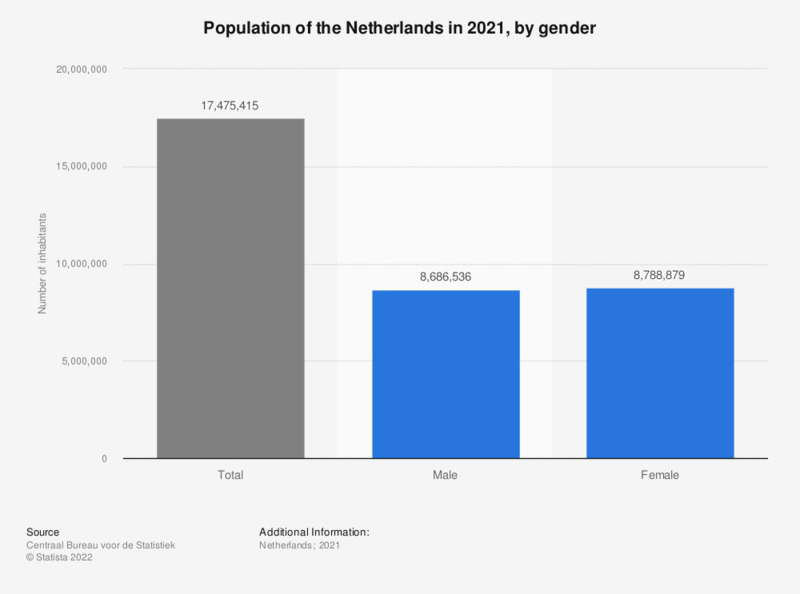 On January 1, 2018, approximately 8.5 million people living in the Netherlands were male and roughly 8.7 million were female, making the female population in the Netherlands the majority. As this statistic on the life expectancy at birth in the Netherlands shows, women in the Netherlands live some three years longer than men. For this reason it is not surprising that the number of women living in the Netherlands is larger than the number of men. According to a recent forecast, the life expectancy is likely to increase even further in the future, narrowing the gap between the genders to approximately 2.8 years in 2060, but not completely eliminating it.